RE/MAX Northern Illinois has announced that RE/MAX 1st, its franchised office in Elmhurst, Ill., has been acquired by real estate broker and investor Surinder Chandi of Toronto, Canada. Chandi sees an opportunity to bring ideas from the Toronto market to the Chicago area that he believes will offer brokers at RE//MAX 1st a competitive advantage. I wanted to affiliate with RE/MAX because it is the global leader in real estate and the most recognized brand. 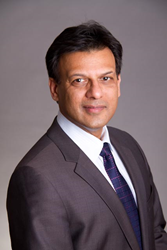 RE/MAX Northern Illinois has announced that RE/MAX 1st, its franchised office in Elmhurst, Ill., has been acquired by real estate broker and investor Surinder Chandi of Toronto, Canada. The acquisition was completed on March 28. After working with both commercial and residential real estate in the Toronto area for two decades, with much of his focus on marketing new condominium residences, Chandi began investing in Chicago-area real estate in 2014 and now divides his time between the two cities. In Illinois, he has purchased, renovated and sold approximately 25 homes in Chicago suburbs from Country Club Hills north to Park Ridge. More recently, he purchased a 9,000-square-foot commercial building at 257 N. West St., Elmhurst, that he is renovating. Chandi plans to move RE/MAX 1st to that location later this year from its current office at 129 W. 1st St. He explained that there were three main motivations behind his decision to purchase what is Illinois’ oldest RE/MAX franchise, established in 1977. Chandi also sees an opportunity to bring ideas from the Toronto market to the Chicago area that he believes will offer brokers at RE//MAX 1st a competitive advantage. Chandi is also excited about the potential of the Elmhurst market, which has been among the strongest performers in suburban Chicago over the past decade. Elmhurst is one of the few Chicago suburbs where the median home sales price was higher in 2016 than in 2008 at the start of the real estate crash. The median price last year was $400,000, 11 percent higher than in 2008, and Elmhurst has enjoyed strong sales over the last three years, with 2,078 home sales completed. RE/MAX agents consistently rank among the most productive in the industry. In 2015, RE/MAX Northern Illinois agents averaged 18 transaction sides. RE/MAX has been the leader in the northern Illinois real estate market since 1989 and is continually growing. The RE/MAX Northern Illinois network, with headquarters in Elgin, Ill., consists of more than 2,250 sales associates and 103 independently owned and operated RE/MAX offices that provide a full range of residential and commercial brokerage services. Its mobile real estate app, available for download at http://www.illinoisproperty.com, provides comprehensive information about residential and commercial property for sale in the region. The northern Illinois network is part of RE/MAX, a global real estate organization with 110,000+ sales associates in 100+ nations.